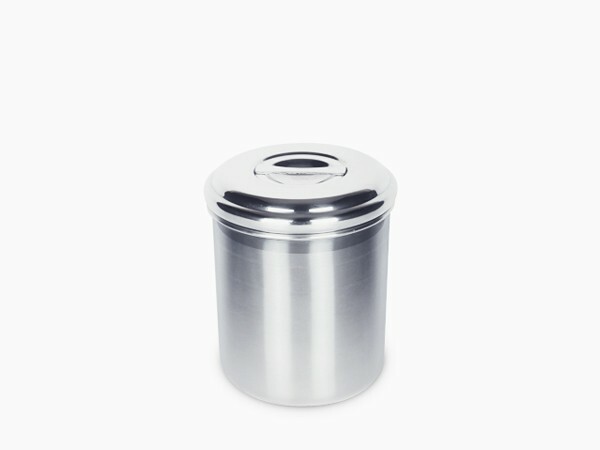 1 quart Onyx Stainless Steel canister. Manufactured in Korea out of 18/10 Onyx Stainless Steel. 1 qt. 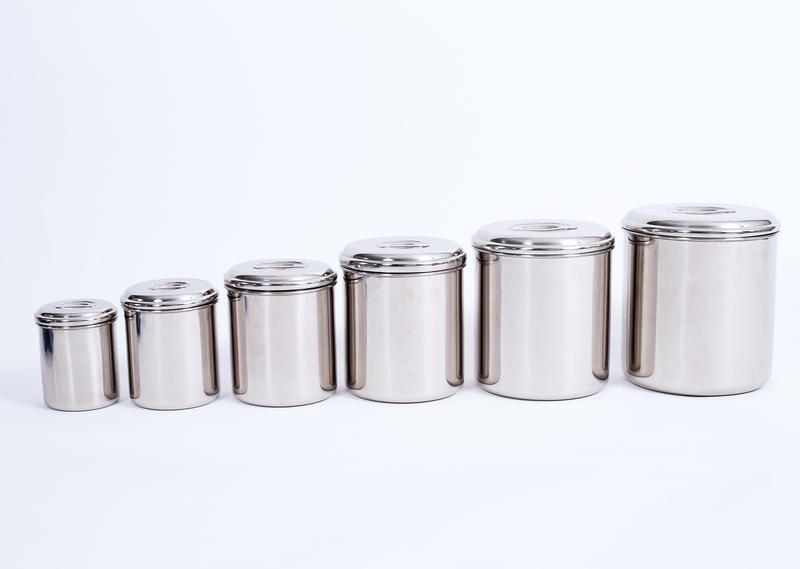 Diameter: 10 cm / 4" Height: 11 cm / 4 1/3" Capacity: 875 ml / 3.75 cups. 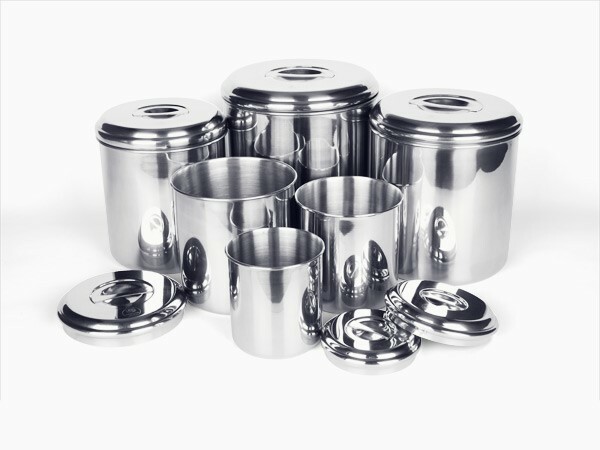 They are well made and sturdy canisters.Lid fits well. I am really happy with these containers. They are beautiful and sturdy, incredibly well made. Highly recommend them to anyone.